Your relationship with your church back home is important. And since you’ll be away from the friendships, fellowship and discipleship you’ve had at home, it’s important to get involved in a local church in the Greenville area. If you’re looking for a starting point for choosing a church, consider some of the tips below and take a look at a few of the many Greenville-area churches that you can visit. We’re all accountable to God for how we respond to His commands. He makes it clear in His Word that as Christians, we’re to live in community with other Christians. A local church is a natural way for community to play out. The University isn’t a church or a substitution for one, though there are many ways for you to grow spiritually (Bible classes, chapel, prayer groups, etc.). God also makes it clear that we’re to remember to keep the Sabbath holy. We’re to show our dependence on God and rest in Him in a unique way one day each week. That might mean that you sacrifice some work hours or study time to be with the church. You’ll probably be busy with a whole lot of different responsibilities and activities, but decide now that you’re going to make your relationship with a church top priority. We’ve set up an accountability system to help remind you, but ultimately, it’s your relationship with God. Make sure you set aside time for Him and His people. God gives wisdom to those who ask for it—so ask Him for wisdom when you’re deciding on the right fit. He’s placed wise people around you as well, so talk with your parents or other trusted spiritual leaders in your life about choosing a church. You can also ask your RA or roommates for suggestions. It may be helpful to make a list of a few options and to visit them before settling on one. Getting involved in a church means getting to know people and serving as God enables you. As you attend faithfully, look for ways you can meet others and ask the leadership what needs there are in the church that you can help out with. Some churches are immediately ready to have college students help out, and others want to get to know you and prefer that you join the church as an associate member before helping out. Your time at college is a great time to grow spiritually. Remember that your relationship with your church is mutual. 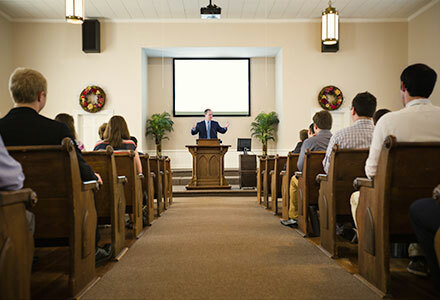 You’ll find encouragement where God leads you, and your involvement—even if it’s limited to faithful attendance and friendliness in your interactions—will encourage members of the church. 207 Chadwick Ave., Hendersonville, N.C.
2703 Spartanburg Hwy., East Flat Rock, N.C.
250 Fairview Ave., Hendersonville, N.C.